This is just like a painting. Would look great framed on the wall. Love the colours. Very pastel painting like. Lovely colours. Gorgeous, I would just love this hanging on my wall! Beautiful colors and great painting look to it. 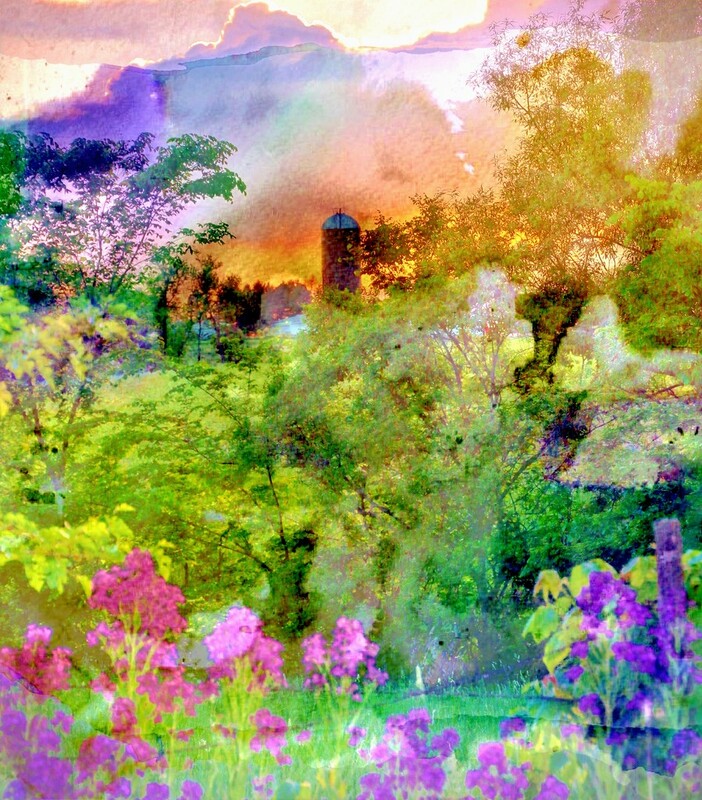 @777margo It's a photo taken on a country road with painterly editing. Really love this! The colors are magnificent - Fav! And...I thought it was a watercolor! This is magnificent, fabulous edit and colours, fav! @lynnz Oh!! Thankyou for telling me. I still love it!! Wow, it does look like a watercolor. What a beautiful painting-like quality! The processing is perfect for this photo. Very effective. What software are editing with? @seacreature Sorry Desi, I just saw your question. I used Smart Photo Editor. Oh Boy! Wow! What a beautiful image! Superb editing. Wish I could hang this one up!